Would a 283% Increase in Website Traffic Help Your Business? 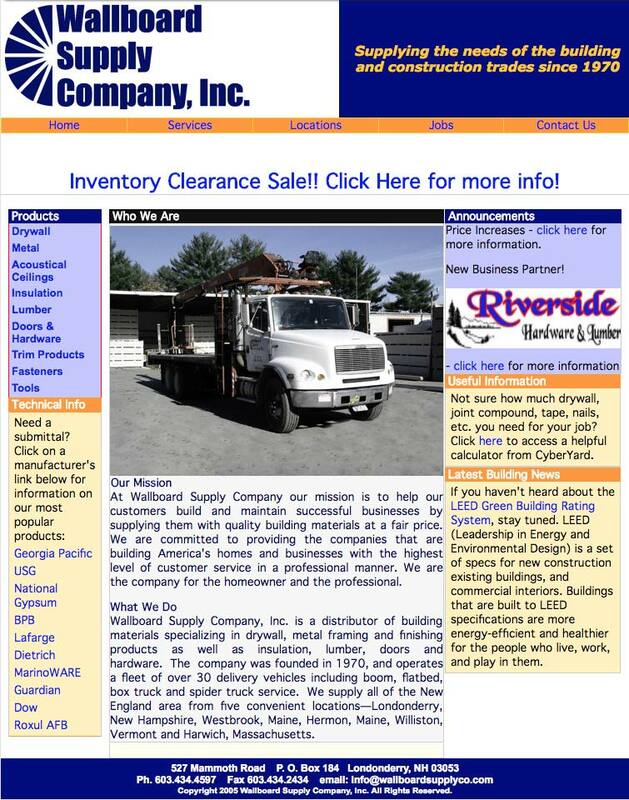 That's what a total web design and marketing overhaul did for Wallboard Supply Company, Inc. Here are the assets they had when they contacted us in 2012. The old website was an obstacle to their goal, so we suggested a complete overhaul. We replaced the unresponsive web design with a responsive framework, so visitors would have a positive experience no matter what device they came to the website from. We implemented a new online request system, so contractors could request quotes and schedule deliveries directly from the job site. We designed the content management system (CMS) so it could be expanded into additional systems as business needs changed. Our custom development process ensured their website had all the essential functions to create a positive customer experience--an important component Google measures when assigning a business pagerank. We knew if visitors found the website useful and explored it, Google would recognize it as a successful match for the organic search term the visitor had used. However, we knew this wasn't enough. 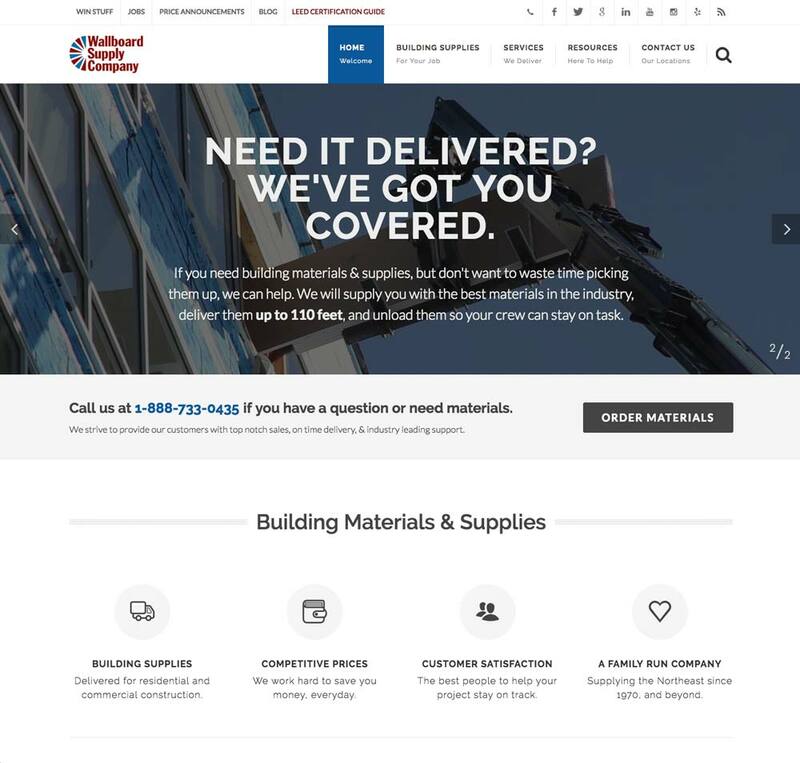 Because we are also an inbound marketing agency, we worked with Wallboard Supply Company to develop a consistent voice for their brand. We showed them how to use social media and blogging for effective search engine optimization AND to increase brand awareness. Overall traffic to the website increased by 283% in the two years between September 2013 and 2015. In the last year traffic has continued to increased and September 2016 has seen a 73% increase in website sessions ( 7,125 ) when compared to September 2015 ( 4,096 ). We were also able to track the performance by the different channels from which visitors initiated sessions on Wallboard Supply Company's website. Google records sessions from all sources, so total traffic was 75,227 over the two years. No month ever fell below the initial session count of under 1,500. In fact, many months in 2016 saw results above 4,500 sessions. Our strategies led to an increase of organic search traffic sessions of 84%, with especially strong performance from January through September in 2015. What does this mean? 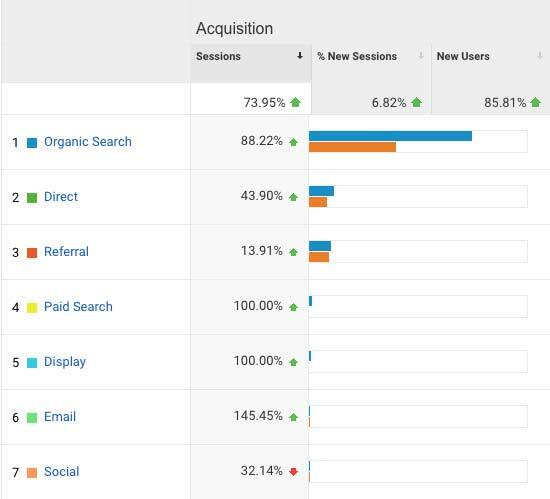 An 84% increase in organic traffic translates to a jump from less than 500 sessions per month to an average of just under 1,900 sessions per month. 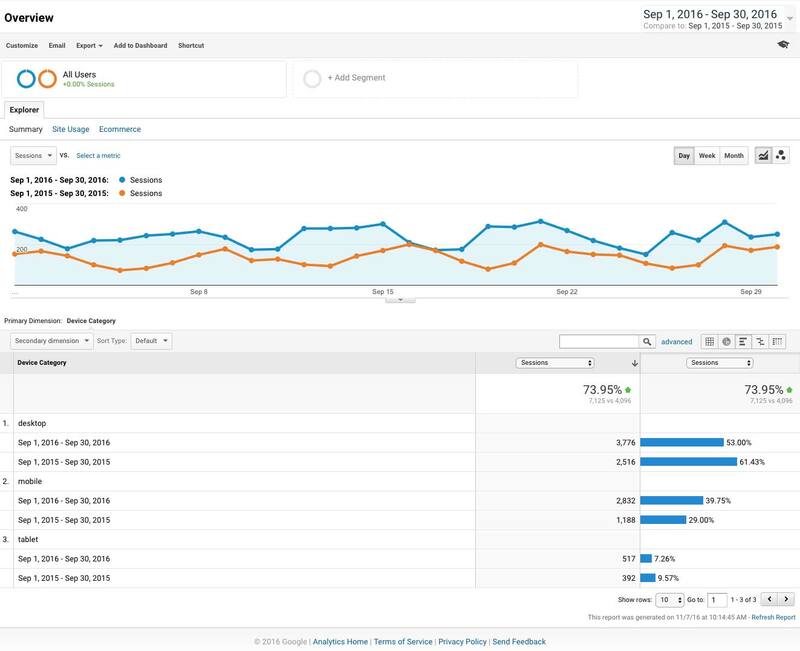 Organic traffic continues to climb as traffic from organic search has grown 88% when comparing September 2015 ( 2,843 ) to September 2016 ( 5,351 ). What is of special interest is the number of direct sources Google reported. These usually reflect website access from mobile devices. Over the two years, direct sources accounted for 15% of Wallboard Supply Company's website sessions. That was a rise of 79.28%. During these two years the company also saw a 42.09% growth in referrals. Social links increased traffic to their website by 59%. All three of these statistics show how implementing an inbound marketing strategy has the power to increase traffic results. 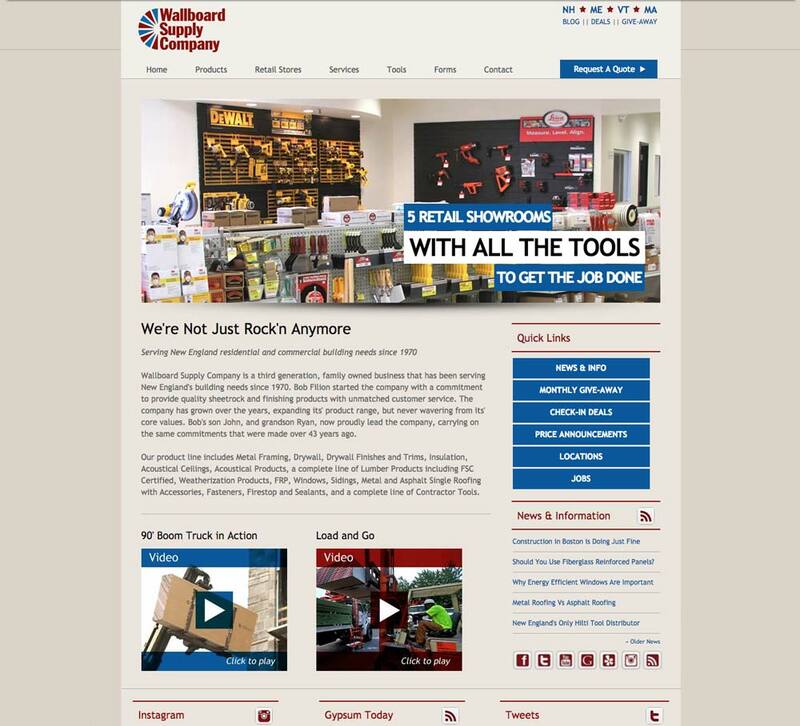 Working with Hubspot, we helped Wallboard Supply Company learn how to implement lead nurturing campaigns. This meant that when they attracted certain types of customers, they could nurture a mutually beneficial business relationship. This led to an increase in sales. PS - Be sure to download the full case study below to show your colleagues, or a friend, how the inbound marketing method can help increase traffic and sales.